He's back by popular demand to make some more beautiful lambs! He is gentle, kind and very polite for a ram. 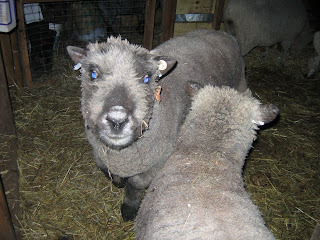 Our two ewes, Belle and Sweetie are enjoying their conjugal visit with him!! !